Even though everything I am sharing with you is natural, I am not a medical professional and would recommend you consult your midwife and/or medical professional before trying or changing anything during pregnancy. I am basing this guide on my own personal experiences and hole heartedly believe these are the soul reasons I really enjoyed being pregnant and labor. Nurses didn't believe I was in labor because I had no pain and when they finally decided to check me I was 8 cm dilated. If you want to read more about my pregnancy and birth, click here. 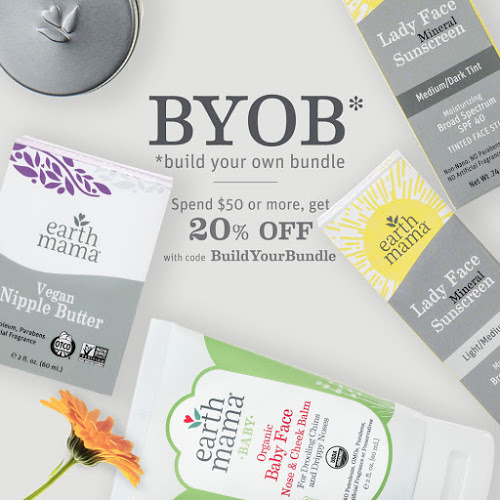 HEarth Mama has soothing herbal pregnancy (and postpartum) products that combine ancient medicinal plant wisdom with the safety of contemporary evidence-based research to offer effective care and comfort. Harnessing the power of herbs traditionally used to help ease occasional morning sickness, heartburn, stretch marks, uterus prep, “down there care”, and more. We know mamahood is amazing, but it’s not always easy. Raspberry Leaf Tea, Third Trimester Tea, Stress Less Tea, Heartburn Tea, Perineal Spray and Belly Oil. I also found they have great little gift packs which are perfect for new mums, baby shower gifts or you can build your own bundles. Our little girl has very sensitive skin and have found that the Arbonne babycare range doesn't react with her skin at all. During pregnancy my cousin asked if hubby and I would want to take her Hypnobirthing class in Havelock North. I said yes I would love to but had to run it by hubby. I talked to him and he was in. We did both Hypnobirthing and Antenatal classes. We both preferred the Hypnobirthing because we learnt so much about how the female body is built to have children (she is more than qualified, you see she is a nurse). My cousin taught us techniques on how to work with our bodies, instead of against them and drilled into us that we would need to practice these techniques for them to be effective. The example she gave was 'a marathon runner doesn't just show up on the day expecting to win without training'. Hypno Birthing - The Mongon Method actually takes you through history and teaches you why and how society has brought fear into giving birth. If you think about it, we are so quick to tell bad news but mostly keep good news to ourselves. It is 90% bad news reported about on TV. I can count on one hand the amount of people I have heard or watched had a peaceful and pain-free birth. That's right, I watched my sister give birth and she wasn't in pain either (well not that I saw) and she also read the Hypno Birthing - The Mongon Method. Regardless of whether you want to go down the route of natural or use pain medication for birth, I would highly recommend you read this book. It is a great read! My gentle exercise of choice would be yoga! If your not a healthy eater or don't consider yourself to be then I would highly recommend you try the Arbonne 30 days to healthy living plan. It not only gets the toxins out of your body but also teaches you what foods to eat and why (so effectively how to eat healthy) plus the added bonus of a support network to help you with amazing delicious recipes and more. The best times to try getting yourself into good habits would be before you start trying to have a baby and / or after birth. All of our family loved doing the plan for various health reasons but mum loved not having to think about what to feed everyone for 30 days and have more energy. All of Arbonne's products are safe and nontoxic. They're vigilant about the newest research regarding chemicals to ensure they are being mindful and cautious. They proactively search for pure, clean botanical ingredients. Remember just how tiny your little one's once were with our to scale Lush Newborn Prints. Ideal for ages 3 months and under; can be done the very day your baby is born with no mess, no fuss and no appointment needed. Our 'Lush Newborn Prints' hold perfect to scale prints of your little one's hands and/or feet. I love the imperfections of each print, however we can edit images on request (helpful when prints are messed up). Each print is printed on quality and archival safe materials to make your memories last. After purchase of this package, we will be in touch to discuss collection of your hand and/or footprints and arrange for a proof to be sent. Here is a short video of our inkless print kit. If you choose to purchase this package as a gift. You don't need to fill in any information of the newborn as we will collect this information from the new parents, when they get in touch. We will send your Inkless Printing Kit direct to you, along with a beautiful voucher and code for you to present as a gift. If you would like us to send this package direct to the expecting parents for you. Please pop a comment in the additional notes section along with the message you would like on the card. See photos and refer to Heart of our Brand for fullproduct materials. For more information on ordering, please see our ordering process. - Please ensure all spelling etc is correct as your design will be made exactly as you have typed. - Please allow a maximum of 1 mm error in scaling. At a reveal party, ask guests to mark their guess at the bottom of the card. Then let them scratch-off the gold sticker to see if they guessed correctly! Place a blue or pink sticker on the card based on the baby's gender; and place the gold scratch-off sticker over the pink or blue sticker. Includes twelve cards, twelve scratch-off stickers, twelve blue stickers, twelve pink stickers and instructions. Acid free. Our beautifully designed lush, natural baby milestone cards are a kiwi theme; with the subtle gold fern in the background. They come in a handmade cotton and linen drawstring bag with a natural tree design. Each card is handcut to achieve the soft rounded corners and made of 250 gsm card, measuring 105 x 148 mm and comes in a matte finish. Having a matte finish is fantastic to stop any reflections when taking photos and means you can easily write on the notes section set up on the back of each card.